By default Windows 7 hide file extensions of files like .txt .pdf .jpg .doc etc. But some users may want to show file extensions. 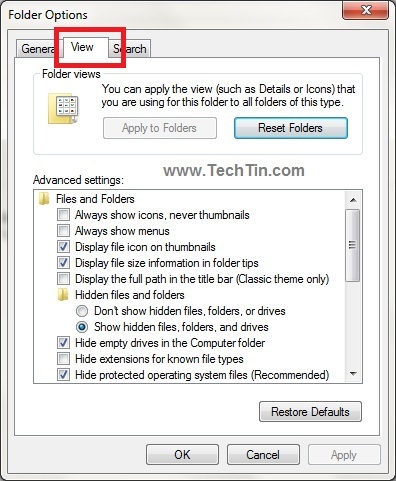 You can show / hide file extension of files in Windows 7. Method is same as in previous versions of Windows. 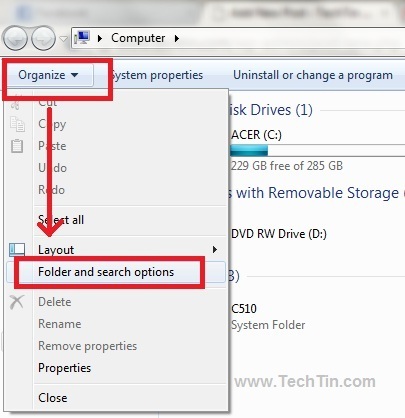 Click the Organise button located in the top left of the explorer and then click Folder and search options. 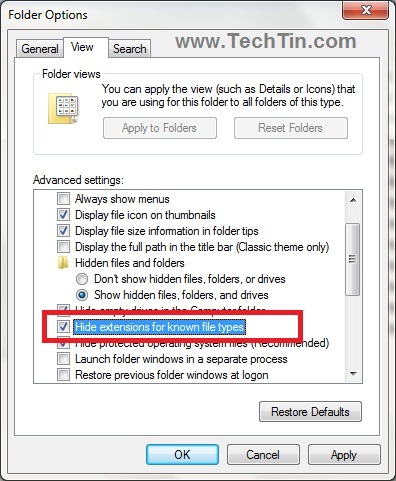 Check option “Hide Extensions for known file types” to hide file extensions. Uncheck this option to show file extensions. Click Apply and then OK button.